New tweaker files should be named 17_16.ini and 18_16.ini, not whatever it was I put before for the latter. Else it doesn't match the globalvars entry. I found a bug on Berger's rear wing, so the package has been updated. I've also added Tobi's tweaker instructions to the read me. Edited 1 time(s). Last edit at 01/09/2019 05:47PM by quickslick. The 1994 McLaren MP4/9 is very much an updated MP4/8 fitted with the Peugeot engine, though it did flirt with Lamborghini at one stage. 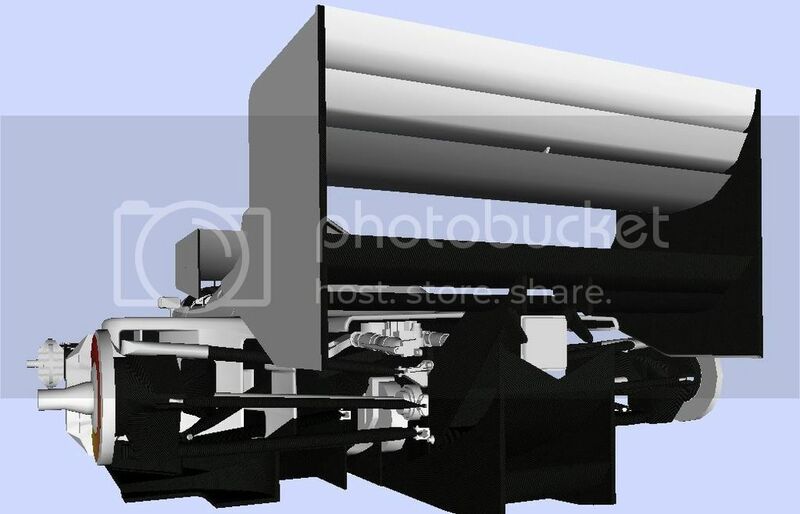 And so much of the front of my creation began its life loosely based around Öggo’s excellent MP4/8. When I began, I thought it was close enough to the 1993 car to not take up too much time in modelling, but then I looked more closely at the photos. 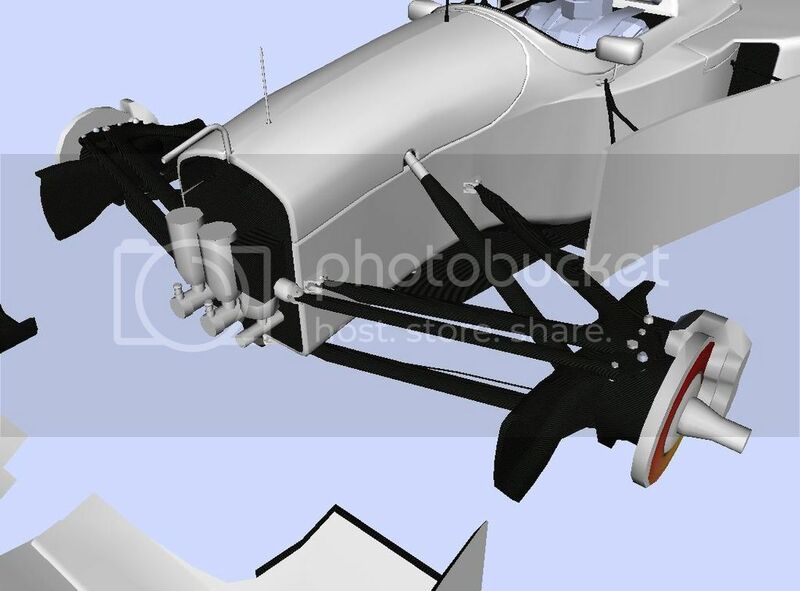 I think only McLaren kept elements of the front end plates that began the season wrapping around the front wheels until they were banned, but kept the parts that belonged under the front wing. 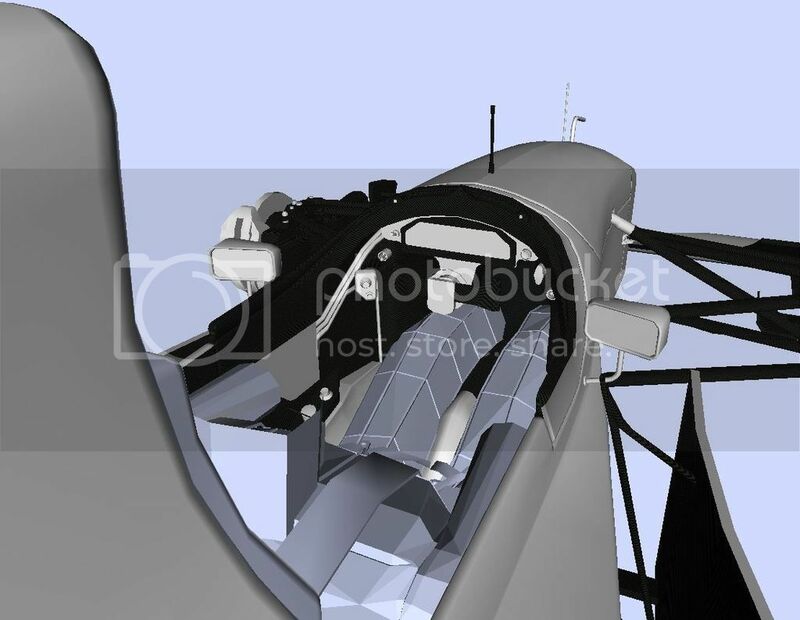 I put a bit more effort into adding low-poly detail to suspension ends and made the nose-cone damage a bit more detailed than I would have done in the past. McLaren kept with the low nose, but it rose higher around the suspension area (to try and gain some of the benefit from a high nose without having one), and there is quite a pronounced undercut around the drivers legs (pioneered by Adrian Newey’s Williams FW14). The second half of the year forced holes to be cut in the engine cover, and you can see through from the front of the airbox through to the rear. The right side of the engine cover had a few extra holes, one for the extinguisher and the other an access point to plug a laptop in. 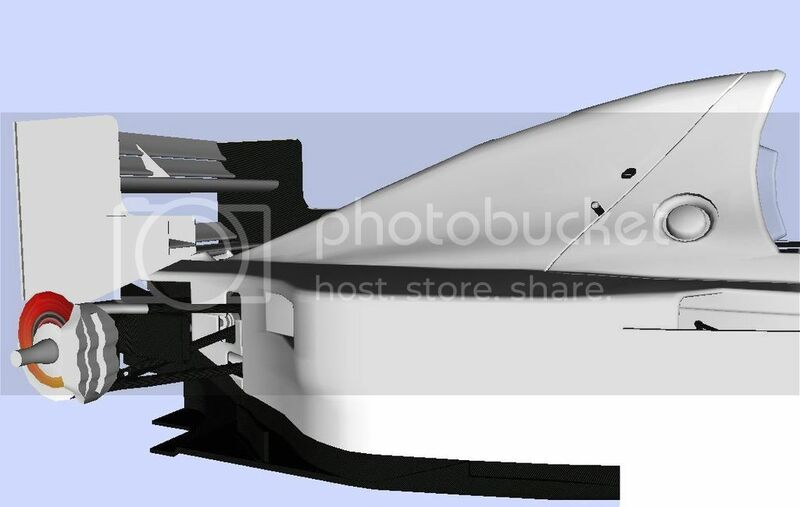 The MP4/9 has very small sidepods and from the top down looks like a triangle – the biggest change from the MP4/8. Perhaps the cooling requirements were much less from the Peugeot engine, but then again it did blow up a lot! 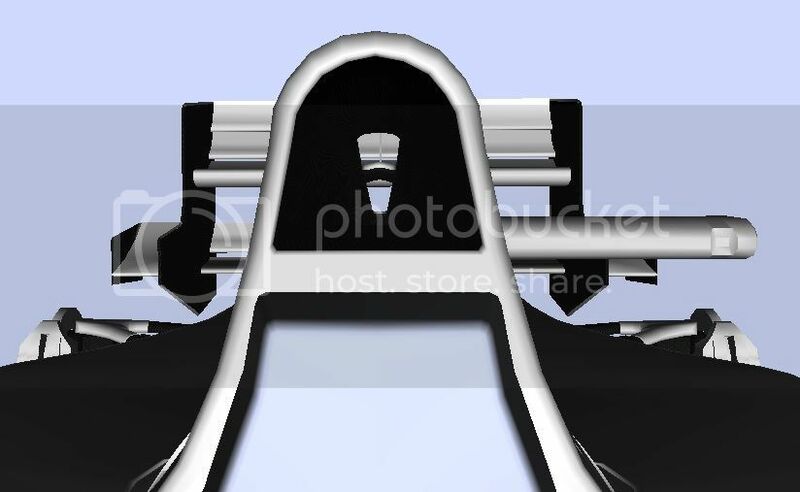 The floor just in front of the rear wheels is stepped and contains a vertical element (hidden in dark carbon). I put a bit more detail into the rear suspension and gearbox and its mountings. I felt it gives the rear of the car a bit of depth even though it spends much of its time under shadow and never seen. I also put a bit more detail into the cockpit and dashboard shape. 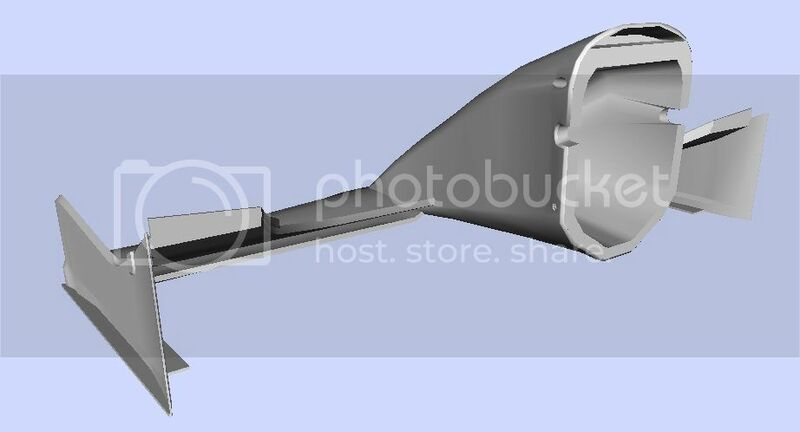 This is the first time I modelled the seat separate from the main monocoque (not that you can see it!). It’s a real shame we can’t have 3D wheels in GP4, it would really help to complete the look. There’s a lot less buttons and dials on the MP4/9 than the MP4/8. 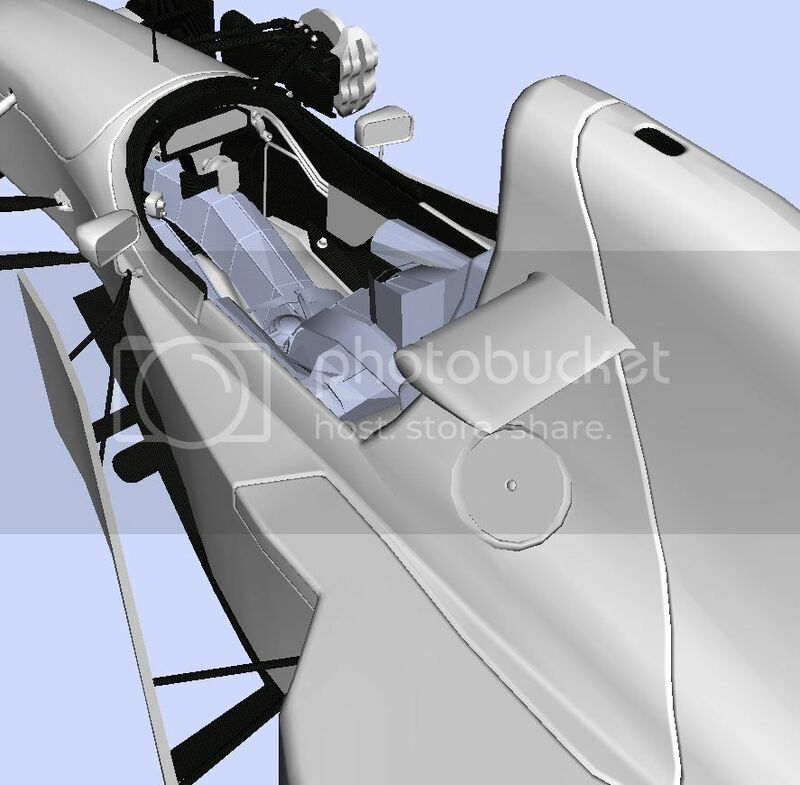 I'm pleased with the mix of detail and polygon management, it's around 45,000 polies (the Ferrari around 34,000 and the classic cars from F1 2018 are closer to 150,000) and that was largely down to suspension detail and smoothing out the cockpit. Shaping the Ferrari was mostly for fun and I'd model things a bit differently if I were to do it again, but this McLaren has taken me to the next level of detail compared to my 1996 cars, so I hope you like it. love those bits at the suspension! Amazing work Kev, both on Ferrari and McLaren. I love your technical walkthrough keep up with that. So nice to not having to worry about polygon number being high anymore. It is a bit more rewording being able to shape complete car with as much details possible. I'm so glad you're back and Isn't Tobi just great to work with? Tobi is great to work with I've worked with a number of great painters over the years and I'm grateful to continue to work with more talent. I've started a blog (link in my signature), it's basically me getting nostalgic and writing about how I got into F1, GP4 and 1/43 model collecting. 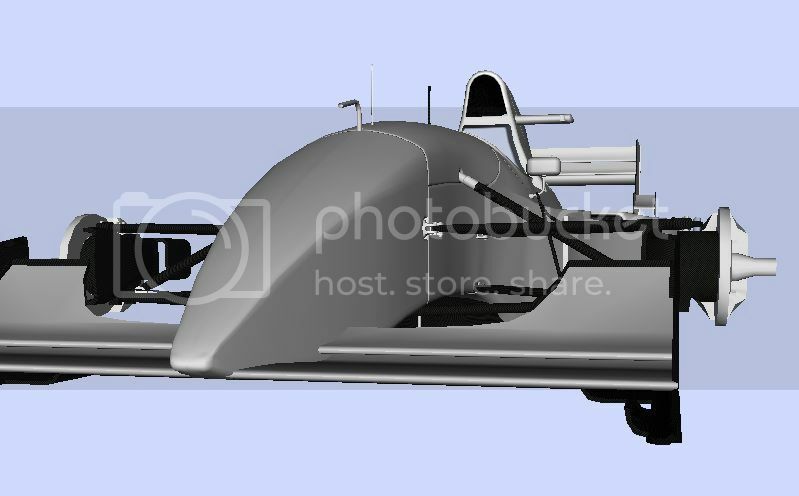 In time, I'll put my technical walk throughs from here onto my blog, and I will revisit some of my previous GP4 cars. I've got plenty of material to be posting daily in January, so I hope you enjoy it as much as I've enjoyed writing it. Edited 1 time(s). Last edit at 01/25/2019 05:21PM by fongu. Wow! Mega work, Kev. Looks like GP4 is in a real renaissance period right now, with lots of great content being produced by awesome creators. Really looking forward to seeing the late-season Benetton - which is one my all time favourite F1 cars. Sorry if this work is distracting me from finishing the McLaren, I will try and get back to that. You have a nose for it.